In suffering there is purity, uh.. or beauty or all of the above or something like that. So, I’m suffering for my blog. And me oh my…can you tell it in my pictures below! (That’s a statement and not a question). I was DYING out there. Enough of my suffering though, as all of my tribulations were tolerated in order to bring you my long awaited purchase. TA DA! 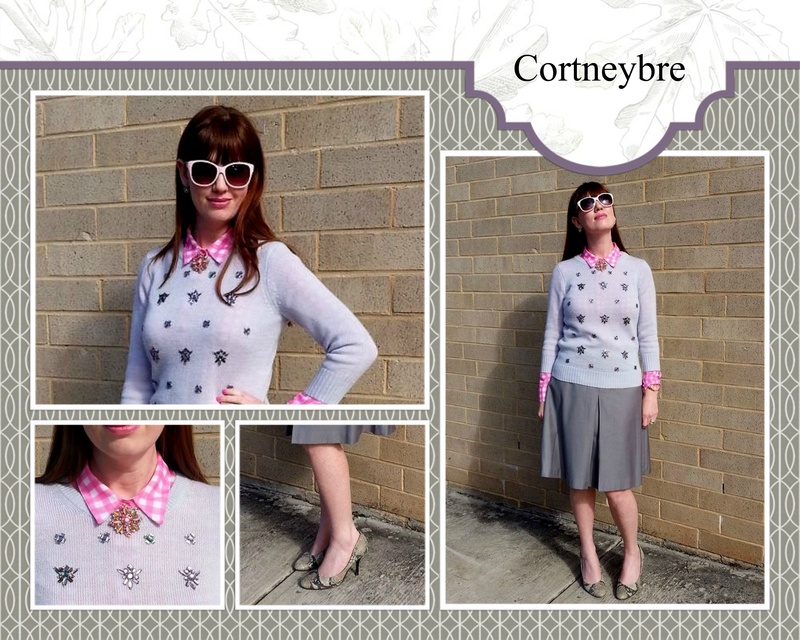 Enter one Pantone of the Year inspired, Radiant Orchid-esque, JCREW, mohair, bejeweled sweater! And it was purchased on sale! 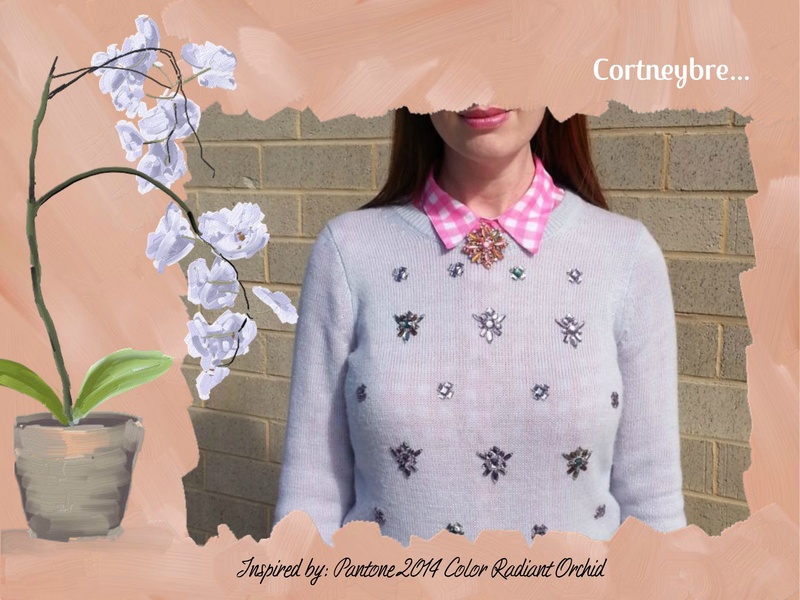 I’ve been looking for a piece that celebrated the new Pantone color and I found it in this lovely sweater. Its comfy and soft and could keep you warm on a cold day..especially if you wore tights with your skirts. Love the sweater. And it is cold today, so kudos to you for being so brave for fashion!